This hair is so nice! Review: Really soft and bouncy curls. The shipping was really quick, only took a few days and the vendor was really nice and communicated throughout the process. Will definitely be purchasing again! Review: I am very glad to have received my wig! Very good quality ! There is a lot of density! I received my wig 3 days later! Natural effect !!!!!!!!! I RECOMMEND YOU !!!! Review: I've had my wig for over a month now and i am still madly in love with it!! Minimal shedding and the curl pattern is still drop dead gorgeous!!! I'm so happy I chose this supplier!! This hair far exceeded my expectations!!! Review: This hair far exceeded my expectations!!! It's so amazing, I'm gonna order another one just in case they run out! communication was great and it actually arrived a day ahead of time. 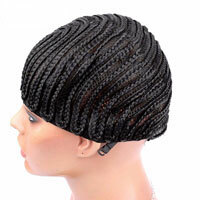 if you want a full , fabulous wig then you must order it now!!! Review: This hair is so nice! Really soft and bouncy curls. The shipping was really quick, only took a few days and the vendor was really nice and communicated throughout the process. Will definitely be purchasing again! Review: So where to begin? I ordered this hair dec 27th and got it on the 30th. Communication was superb and so was the wig when it arrived. I waited a while to leave feedback because I wanted to really test the unit. When i got it there was no smell or shedding. I did a cowash and had minimal shedding when I combed it out and it went back to its natural curl. I wore it curly for about a week then put it to the second test. Review: Super friendly Fast shipping Communicated very well and fast ! Hair is soft and purdy Will order again and upload pictures soon Thank you so much ! 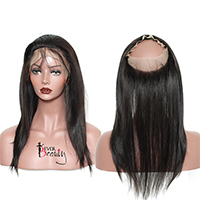 Review: I ordered the lace front human wig and let me tell you. IM IN LOVE! It looks so natural. True to description with the color , length , & everything ! No scent or anything , also it came with a few wig caps . The sellers communication was perfect. Always kept in contact. I ordered on a Wednesday night and received it on Friday. Thank you vendor! Satisfied more than I can say! Review: Pleased with this wig. Fits well and hair is soft. Works well with a curling wand. Only thing is the frontal was a bit short for my head, I am a big head (Does not go ear to ear). Good buy otherwise. I am pleased. Review: Omg! The best wig I have ever purchased! It literally came in 2 days I ordered Monday nite at like 8 and I received on Wednesday at 10:30am..the best transaction eve and the seller was phenomenal! I will be ordering again soon! Review: Amazing communication, great service and awesome hair. Excellent!!! Review: Hair came very soft! Minimal shedding before and after co-washing. Very good communication from Mike. Hair took a week to get to me. I would recommend this, hair was pretty full too. Review: 1. Fastest. Shipping. EVER. Just ordered this on Thursday 3/2/17- it arrived while I was at work TODAY 3/6/17!!! From CHINA! 2. Seller has EXCELLENT communication, very friendly and personal 3. I don't like online shopping, especially ftpm other countries. I thoroughly read her reviews and decided to go for it. SO glad I did! 4. 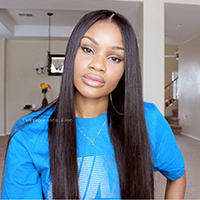 I ordered 22" lace front, it is very full, extremely soft and luscious! I'm 5'5" and it goes to my shoulder blades right out of the package. 5. Came with free wig cap and lashes! 6. I will post an update in a few weeks. Will DEFINITELY order this wig and from this seller again! Review: Very soft, big head friendly, customised i bleached the knots and dyed the roots black... gotten loads of compliments. it looks very natural, would deffo purchase from this vendor again! Review: Awesome customer service at time of purchase. Excellent shipping time. HAIR IS FULL! It's not heavy to wear, but heavy when wet. Minimal shedding which occur with curly hair anyway. I was reluctant to dye this beautiful wig because bleaching is harsh on hair. A deep condition in silicone mix and a diffuser will bring it back to life. This hair dyed very quickly! I did have some questionable strings that did not lift in color at all, but they where only noticeable when customizing and plucking the hairline on the lace. I just plucked them out. Hair surprisingly don't tangle as much, but of course because it is dyed I have to keep products in it to help with the frizz & dryness. I doubt that would have been an issue before the bleach. I did have to tint my lace because it was a tad light for my skin complexion. The lace is very durable. I love it & will buy another! Review: So ladies let me tell you about this wig, 22 inches of luscious soft curlyness, it is a big beautiful full lace front unit, Mike was in communication with me before and after the unit shipped, , its beautiful well made and sewn well its worth the money you pay, when u hve a person communicating with you at every step ensuring satisfaction this place is it, soooo am not at all savy with cutting lace n this n that, so i had a friend come cut it and place it on my head, i had to sew my sides because my head is super small and i have a short mohawk with my sides clean cut off so i needed my wig to be tight n right n it is!!! 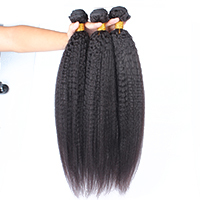 highly recommend any other unit ill purchase from here,cuzz this hair is sooo dope!!! Review: Let Me Tell You.....I Love This Hair. Ordered On Thursday And Got The Hair On Tuesday. The Seller Was Very Amazing With the Communication And The Shipping Was Very Fast! The Hair Is Just Like The Description In The Picture, And The Curls Are Just Bouncy And Wonderful. Surprisingly, no smell and it even came with a wig cap. Will update after 3 weeks to see how long the hair will last. Even the hairline is super natural. Review: The curl patern is beautiful! Shipment was fast ! the baby hair was very thick but nothing that you cant fix ! The communication was good ! Shedding minimal but yeah what can you expect from curly hair ! Dont brush it to much just fingercomb it and the shedding will be minimal ! Tangles minimal ! Review: I'm a hairdresser and I know good hair when I see/feel it, and ladies THIS IS IT!!!!! I feel like a movie star! haven't experienced any shedding! Review: Initial Review!!! Hair is amazing, very soft curls come right back after cold wash and deep conditioning. I ordered 14in & very true to length. Shipper contact was top of the line we stayed in contact every single day until shipment was delivered. also sent pkg UPS as requested. Hair came in 3 days ! All of my friends are obsessed and want to order this unit! It's LIT! Will do another review in about 2-3 weeks for update on hair! Oh yeah I also slept in the unit with a fever and it's did not get tangled and there's only shedding where I cut the lace.